Loved Paul Levine's Bum Rap! Couldn't put it down! Really enjoyed how Paul brings his series characters trial lawyer Jake Lassiter and squabbling law partners Steve Solomon and Victoria Lord together in one novel! I always thought their paths should cross. It's a great read. 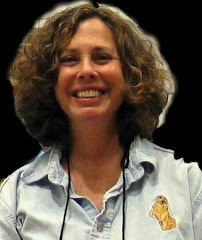 So, of course, I had to ask Paul to write a post for Mystery Fanfare! Which series do you like best? Who's your favorite character? Haven't read Paul Levine yet but want to? Make a comment below to be entered to win a copy of Bum Chance. Be sure and add your email address. Paul Levine is the author of nineteen novels. 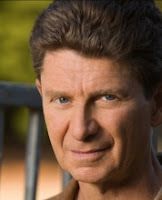 He won the John D. MacDonald fiction award and was nominated for the Edgar, Macavity, International Thriller, Shamus, and James Thurber prizes. A former trial lawyer, he also wrote more than twenty episodes of the CBS military drama JAG and co-created the Supreme Court drama First Monday starring James Garner and Joe Mantegna. – Steve Solomon in BUM RAP. Jake Lassiter, the linebacker-turned-lawyer, has been featured in ten of my legal thrillers. Steve Solomon and Victoria Lord, those squabbling lawyers and lovers, are the stars of another four. BUM RAP (Thomas & Mercer, July 1) brings the trio together for the first time. Here’s the set-up. Representing a mysterious Russian Bar-girl, Solomon pays a visit to the South Beach club where she works. There’s an argument, gunfire, and the club owner is killed. All the evidence points to Solomon as the shooter. Looking for the hardest-hitting lawyer in town, Victoria calls Lassiter, a guy who believes that “law is a contact sport.” But Jake doesn’t want the case. “Do you like most of your clients?” Victoria asked. So why combine the protagonists of the two series? Why a crossover? It works both ways, too. All Solomon sees in Lassiter is a burnout, a guy who’s paced outside too many jury rooms and downed too much Jack Daniel’s. True enough. Disillusioned with “the so-called justice system,” Lassiter is ready to hang up his shingle and coach prep school football in New England. Something else, too. I knew Lassiter would be attracted to the smart, beautiful and stable Victoria Lord, after years of falling for dangerous women. The list of Lassiter’s femme fatales includes a woman charged with killing her father (FLESH & BONES), another who was married to a homicidal gangster (MORTAL SIN), and yet another who was a champion windsurfer, as well as a heartless killer (SLASHBACK). Lassiter’s potential relationship with Victoria posed yet another conflict...a legal one. Prohibited by the Canons of Ethics, it’s called a “conflict of interest.” Here’s the problem. If Lassiter loses the case, Solomon goes to prison, and Victoria is suddenly available. So, will Lassiter tank the case for a guy he dislikes to have a shot at the woman he adores? Summing it up, the crossover provided a wealth of material: Inherent conflict. All in glitzy South Beach. And I haven’t even discussed the battles with hardnosed prosecutors or the sensational murder trial involving a missing witness, perjured testimony, and the Russian Mafia. One more thing. I knew the story would be damn fun to write. And it was...from the very first meeting of attorney and client in the Miami-Dade Jail. Here’s Lassiter giving instructions to Solomon. “I had multiple concussions playing ball. I’ve got hearing loss.” Solomon turned to Victoria. So what’s next? Another Solomon & Lord novel? Another Lassiter? Or another crossover? Well, I’ve been thinking. Wouldn’t it be fun to have Lassiter on one side of a case...and Solomon & Lord on the other? We shall see. 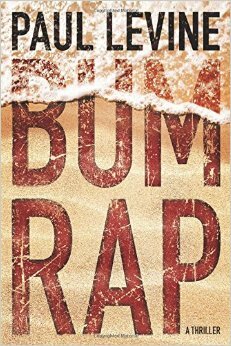 (In a starred review, Booklist calls BUM RAP a “delicious mix of thriller and comic crime novel.” BUM RAP is available in paperback, e-book and audio. More information on Paul Levine’s Website). I haven't read any of Paul Levine's books... but I am intrigued for a number of reasons: the Russian bar-girl (I'm Russian-American...was never a bar-girl, but I was a barista); the lawyers (1/2 of everyone I know is a lawyer; and I am always looking for a good mystery to read.